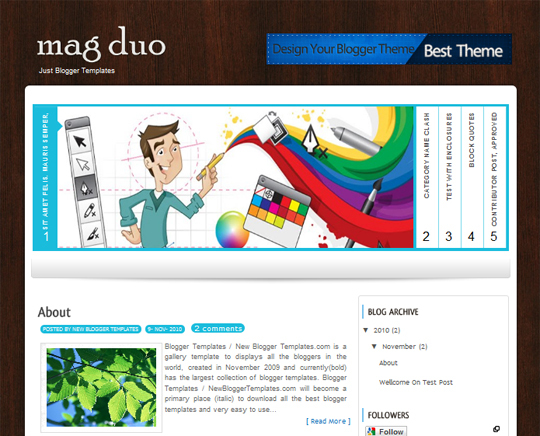 Magduo is blogger template is a nice looking, clean and have everything you want added to this template. It got a nice link bar where you can add your links, a nice looking logo which you have to edit. a clean posting format and a nice looking sidebar. In this template i have added some special widget like recent thumbnail posting, a recent comment widget and sidebar add banner. Special blogger templates for you with slider.